Rooting an Android device will void its warranty but will give you administrative privilege on your Android device. This means you can even run a custom ROM on your Android device, sounds like fun right? Not until something goes wrong and you start searching the internet for ‘how to unroot Android device’. So if for any reason you want to unroot your Android device back to the stock ROM, this article will serve as a guide to help you achieve this easily. Simply adhere to the listed guides here and you can unroot your Android device back to its original state as at when you purchased it. Proceed to Shipped-Rom official website and download the appropriate RUU EXE file for your Android device. You may not find it easy finding your device’s RUU EXE file if you do not know your device’s baseband version. Simply go to your Android device Settings > About Phone > Software information and copy the baseband, use the few beginning figures to search the list, simply use ctrl+f to search for it on the RUU EXE file page. Download it and place it on your desktop, Connect your Android device to your PC using the USB cable. Double-click on the RUU EXE file you placed on your desktop and follow the instructions from your screen. 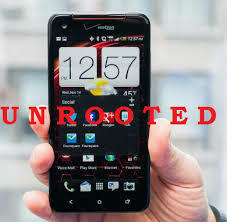 Your Android device will be unrooted once the process completes. There is no easier way to unroot an Android device, if you followed the instructions very well and downloaded the appropriate RUU EXE file, there is no reason why your Android device won’t be unrooted. If anything is not clear for you, please use the comment form below to point it out to me. I will be glad to hear from you. Remember to subscribe to my RSS feed. check Google for articles on how to root your device as i have not yet covered that topic on my blog yet. can you just give us a direct link? or the url to the website. or are you saying we should get shipped roms to unroot our phones?